The population of Muslims in India is slightly more than 14.2%. The last census was conducted in 2011 but the figures about religions were not disclosed till as late as 2015. There is lot of confusion about figures of Muslims in Indian states. The reason is that various reports are cited including estimates of United States (US) agencies and other international organisations like PEW group. Also, there is a trend of 'exaggeration' among sections of Muslims, which creates misconceptions. We must know the figures as per the census report. Here is the Muslim population in different states as per the government of India's official figures. Muslim population is highest in Uttar Pradesh, which is home to 3.84 crore Muslims but they account for nearly 19.5% of the population of the state, followed by West Bengal, Bihar, Maharashtra, Assam and Kerala. The percentage of Muslims is highest in Jammu-Kashmir among big states and in Lakshadwip among the union territories. These are figures as per census 2011, and the current figure would be slightly high. The next census will take place in 2021. The big five are UP, WB, Bihar, Maharashtra and Assam--each having more than 1 crore or 10 million Muslims. The states that have 5-10 million Muslims include Kerala, Jammu Kashmir, Karnataka, Rajasthan. Then comes, the states that have 20-50 lakh Muslims [2-5 million]. 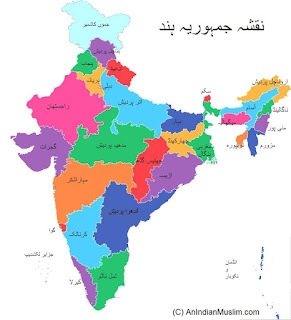 They include Gujarat, Jharkhand, Madhya Pradesh, Tamil Nadu and Delhi. Next come, Uttarakhand, Haryana, Chhattisgarh, Punjab and Tripura. But even states like Haryana, Orissa (now Odisha) and Punjab that have lesser Muslims, often have cities, towns and regions that have a strong Muslim concentration or Muslim dominated pockets where the impact of Muslims on local culture is quite visible. The states and union territories that come later in the list include Himachal Pradesh, Tripura, Manipur, Meghalaya, Goa, Nagaland, Arunachal Pradesh, Mizoram, Andaman Nicobar, Daman and Diu, Dadra Nagar Haveli, Chandigarh et al. [*Jointly, Andhra Pradesh+Telangana, population in Census 2011 was 8.45 crore, which meant there were 81 lakh Muslims (9.6%). Andhra is a bigger state in terms of population but has less Muslim percent. Telangana has a higher Muslim population than Andhra. After bifurcation, the religious population hasn't been officially known for both states]. Eyes on Muslim population in Bihar: Will 1.75 crore Muslims tilt the balance in 2015 Assembly election? As the crucial election for Bihar assembly approaches, the focus is on the Muslim electorate in the state. 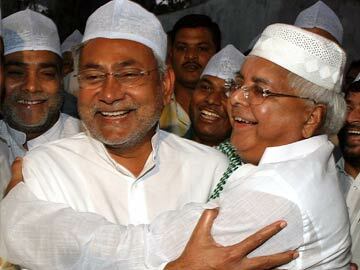 The question is will Bihar Muslims solidly support the Nitish Kumar-led JDU-RJD coalition. Or will Asaduddin Owaisi's entry into the state would lead to polarisation on communal lines. Owaisi has targeted Seemanchal, a backward region that has a huge Muslim population, for his rally. MIM's entry has energised a section of Muslim youth. There is a chance that in Seemanchal, there will be an affect on JDU-RJD's prospects because of Majlis. The possibility is that it will not only divide Muslim but will also lead to consolidation of BJP's core vote? Bihar has the third highest population of Muslims in the country, after Uttar Pradesh (UP) and Bengal (in numbers, not percentage). While UP has over 4 crore Muslims and Bengal has 2.45 crore Muslims. As per 2011 census, population of Bihar was 10.41 crore. The percentage of Muslims as per the latest census (religious figures released only a few months ago), the percentage was around 16.9 (roughly 17). 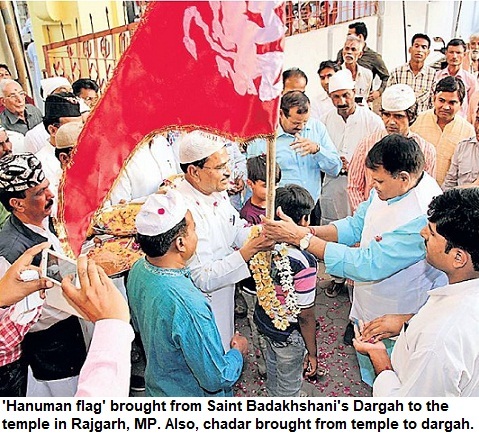 Till now, it was believed that Muslims would vote en bloc for the RJD-JDU-Congress coalition. Hence, it was felt that their vote would not be divided unlike past when minorities' votes were divided between Nitish Kumar and Lalu Prasad Yadav's Rashtriya Janata Dal. But, jointly, JDU-RJD-Congress have a support of over 50% electorate--at least, on paper. It gives them the edge, as reflected in opinion polls too. However, the coming few weeks would determine if the 'secular forces' would take off or lose steam. The BJP campaign is led by none other than Prime Minister Narendra Modi. He is using his oratory and his tested skills to capture the imagination of the Biharis. A few more weeks and we will find out whom Bihar electorate hand over reins of the State. 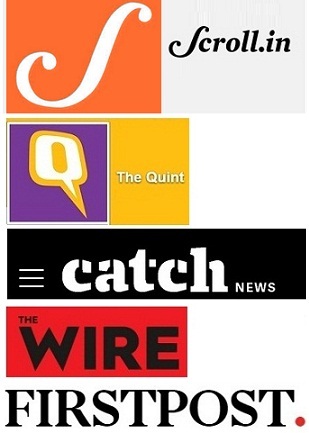 These are exciting times in Indian journalism. The 'New Media' is emerging and is throwing a major challenge to existing media--traditional newspapers and TV channels. Major newspapers whose websites earlier cornered a large chunk of the news traffic on internet, are now facing a tough competition. 1. Unlike traditional media, the newsrooms here work at a fast pace and news is delivered instantly. 2. These sites provide you with fresh, alternative perspective. There are more Op-Ed pieces and individuals with a flair for writing, who didn't get space in print earlier, get published. 3. There are less restrictions in New Media. Things which people wanted to talk or hear about but that was sanitised and censored in traditional media, gets splashed in New Media. 4. Stories are being told differently. There is more creativity visible in headlines too. 5. There is no space restriction. If someone writes brilliantly and the stuff is really interesting, then he/she can write 2,000-5,000 words and it would be published. 6. Interesting information that was earlier kept aside for columns or diary items, is being packaged well in the story form and delivered instantly. This is putting up pressure on traditional media. 7. Unlike traditional media, New Media doesn't need a huge staff. Often, a small but dedicated team of talented people, can come up with creative headlines or an interesting twist that grab eyeballs. 8. Another positive aspect is that the monopoly of big media houses is ending. There are less 'holy cows' and fewer 'taboos'. Also, emergence of New Media brings more opportunities to journalists and hence people won't shy away from writing about big media houses, which was avoided till now. 9. It is not that everything is going great. There is sloppy reporting too. Just having a couple of talented persons doesn't compensate for a nationwide network. As a result, insight is often missing about stories in states that are far away from Delhi, Mumbai. 10. In fact, many incidents that require serious reporting don't get reported well, because the New Media either doesn't have enough resources or sends a reporter to the town much later, and he/she gets filtered information from secondary sources. Good journalism requires good money. Unless you invest in human resources--pay your correspondent or stringer well, you can't get quality stuff all the time. Some of these New Media websites have good financial backing, while others have limited funds at disposal. All these websites are different in the way they present news. If there is a major political happening, Scroll.in may provide you an insightful article and historical perspective. The Quint breaks a story about a VVIP's demise, much before others even think of 'breaking' the news. The Wire tells stories at length and the editor's long experience is visible in the stories. Twocircles.Net has been there for quite long and pitches itself as voice of the marginalised. There can be interesting opinion pieces on DailyO. 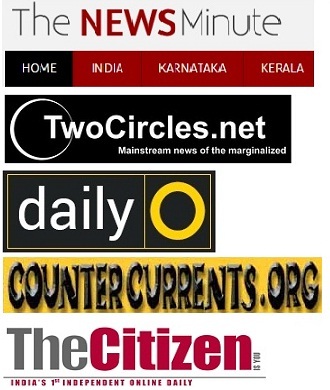 TheNewsMinute focuses specially on Southern States. FirstPost is in a different league because it is flush with funds and despite its ideological bent, it has refreshing opinion pieces. Countercurrents has been there for long but not given the due credit. There are other sites too that haven't been mentioned here. The best part about New Media is that now news can't be stopped. If any one gets air about it, they would run it, without sitting on the information.